The fields set off to the side, away from big league spring training stadiums. It's where minor leaguers work out and play games during the spring. I'm sure you'll cover this in a couple weeks once you get to the Angels top prospects, but can Jefry Marte hit? Not rookie eligible but I think he hits enough to stay in the big leagues, yes. I agree with you on the shifting thing was just a stat I heard today that surprised me. But in the sox game today Cole's reaction after the shift on Sandy was pissed. If the pirates did not shift then sox might not have scored a single run that inning. Yeah he was clearly furious. Has Leon ever bunted before? That might be something an advance scout would see. Do you see Frankie Montas as a bullpen piece long term? Your 16 year old cousin, Ryan Dull, is done with computer club and striking out the side. Just double-checking, Ryan Dull is 16 years old, right? He needs a ride to the mall. If Jurickson Profar had been healthy, do you think he would have become the player scouts thought he would in 2013? A polished and versatile infielder with modest across the board tools and great baseball instincts? Yes. There was some dissent about how much upside was really there, but yeah I think he would have already had a pretty good career at this point. 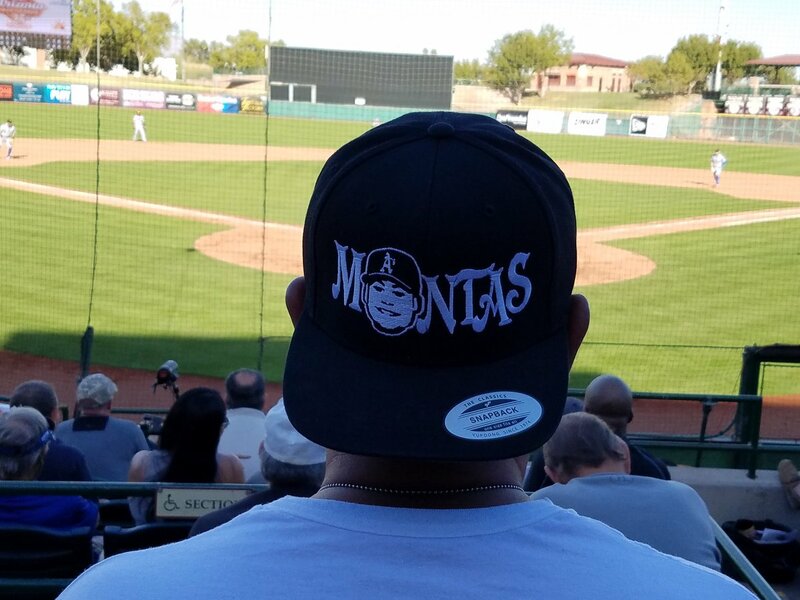 BTW, Frankie Montas' dad has this hat. Was Graveman actually good tonight or is this because it was the Angels? His fastball was good. 93+ with heavy sink. WAR and ISO on a big league scoreboard are reminders of a truism in life. 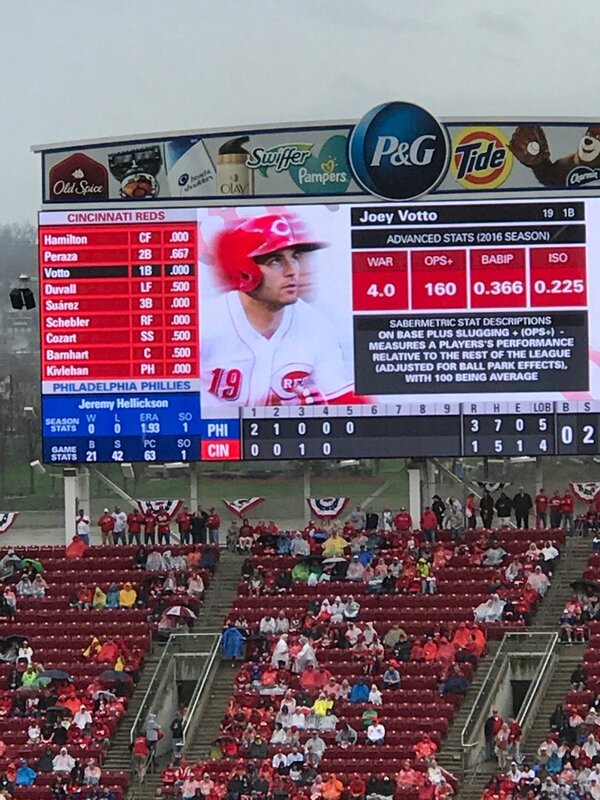 I think it just means the guy operating the scoreboard in Cincy is a nerd. 2-out walk by Norris, Joyce on first. Healy is up. What does Justin Dunn need to work on? My father was one of his high school coaches. Nothing specific, just needs reps as a starter. Command needs to improve, but every pitcher is constantly working to improve their command so that's not a revelation of any kind. Healy missed a 2-0 cookie AND another one on 2-1. Also, as I get older I find myself butchering them more frequently. My grandfather started mispronouncing names that he had not previously had issues pronouncing, so I'm convinced it's a genetic, aging thing.